Trying to plan and start a backyard project seems like a big job. But do you know that there are many great projects that can be accomplished in one day? Build it on Saturday, be enjoying it on Sunday. The fruits of your labour can be appreciated by the whole family for years to come, and only took you one day. Thanks to thegardenglove.com for sharing some amazing backyard ideas. 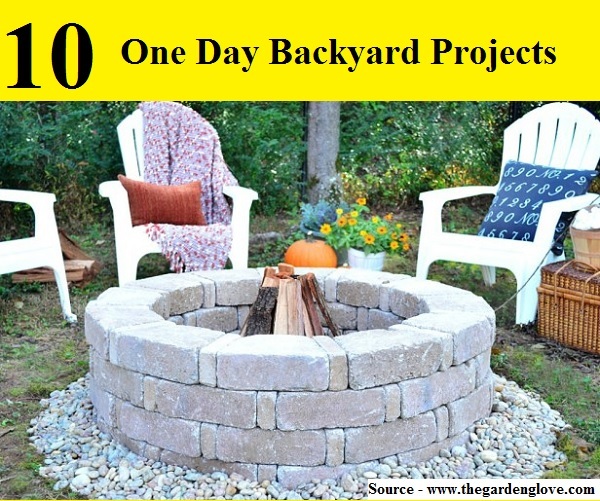 Follow the link below to start to get inspired to begin that backyard project.